I would like to take the time to welcome you to the 19th annual Cape Henlopen Triathlon & Duathlon at Cape Henlopen State Park in Lewes, DE. This event was formally a Piranna Sports event that has been purchased by the local Seashore Striders. The event is a great "1st Timer" event for those interested in the multi-sport events. We look forward to hosting you for the second year in Lewes and we hope you enjoy the event. This event is the same great event that Piranha Sports conducted for 17 years and my goal is to keep as much of the event logistics the same as it has been. The swim course is the same, the bike course has been changed slightly from previous years and will now begin at the southwest corner of the bathhouse parking lot. The rest of the bike course remains the same. The transition area has been changed from the parade field to the southwest corner of the bathhouse parking lot which will eliminate issues the State Park Personel had with bikes and runners mixing into each other near parade field. The run course is now on the east side of the park heading towards the Biden Center & Herring Point and will do an out & back instead of a loop. There will be no bikes and runners near each other on the course. In previous years the swimmers had to run nearly 1/2 mile to reach the transition area. As the new director I was not a fan of having the transition area so far away. The CHSP Personel and myself would like to try the transition area in the main beach parking lot making it easier on the athletes and the logistics of the bike and run courses. I realize that with the move issues may arise regarding the wind, the sand, the parking lot, but we are willing to work through these items and give it a try as we feel the positives out weigh the negatives. Lastly, I would like to thank previous Race Director Neil Semmel who has been beyond great in getting me as much information as possible on this event and I hope to be able to honor him at a future Cape Triathon event for all the hardwork over the years he put into this event. My goal, as it is with each of the hundreds of events I have directed in the past 28 years, is to provide my athletes with a safe, enjoyable, & fun event here at Cape Henlopen State Park in my hometown of Lewes with my host team The Seashore Striders. NOTE: In a case where my safety team makes a decision to eliminate the swim portion of the event due to weather or the water conditions- the event, if possibe, will be turned into a full duathlon. Please remember that the athlete's safety is our Number 1 Concern. ** No Refunds, however if for some reason you can not compete, the Seashore Striders can enter you(transfer) to the 2020 event at your wish...Thank You for your cooperation. * Chip Timed Event...We will use Chronotrack Velcro Tri Chips for this event...your race number, bike number, & bib number will all be the same. * Paperwork is now being completed to bring back USATriathlon and make this a Sanctioned Event again. As of now, it is not completed yet, but I am confident that it will be done and that will require you to be a member of USAT or to purchase a one-day waiver for insurance purposes. The question & option is already embedded in my registration platform. 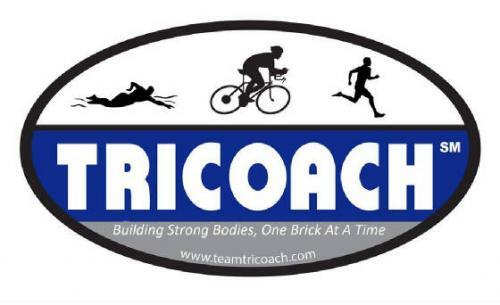 I have heard from many athletes that they stopped competing in the Cape Tri because it was not sanctioned. The truth is that I do not know the ins and outs and pros and cons of what went on in the past, nor do I care what went on in the past. I respect USAT, I have had a past relationship with USAT, and I want to move to the future and make my event a sanctioned event and the best event I can make it.